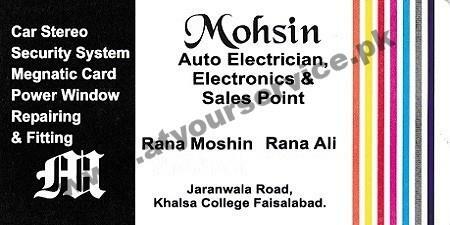 Mohsin Auto Electrician, Electronics & Sales Point is located on Jaranwala Road, Faisalabad. It is auto repair workshop deals in car stereo, security system, magnetic card, power windows. It also provides auto electrician services.